Dr. Panda at the Salk Institute for Biological Studies, is conducting a pilot study to examine the daily patterns in activity, sleep, and food/beverage intake in individuals diagnosed with Prader-Willi Syndrome. Participants will wear an actiwatch to passively track activity and sleep for 2 weeks. Adult participants (ages 18-65 years) will also use a smartphone app to track eating and drinking patterns, sleep, and activity. 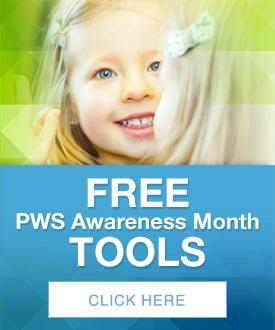 Individuals 13-65 years old diagnosed with Prader-Willi Syndrome, and live in the United States, are eligible to participate. Adolescents 13-17 will also need parental consent. The duration of the study is 2 weeks long. If local, this study includes 2 visits to the Salk Institute for Biological Studies in La Jolla, CA. If you are not able to come to Salk, we will have the visits by phone and the watch would be mailed to you. Participants will receive a summary of their data. Participants will be accepted into the study on a first come first served basis. To sign up, or for further information about the study, please call Dr. Emily Manoogian at (858) 453-4100 x 1949 or email emanoogian@salk.edu.